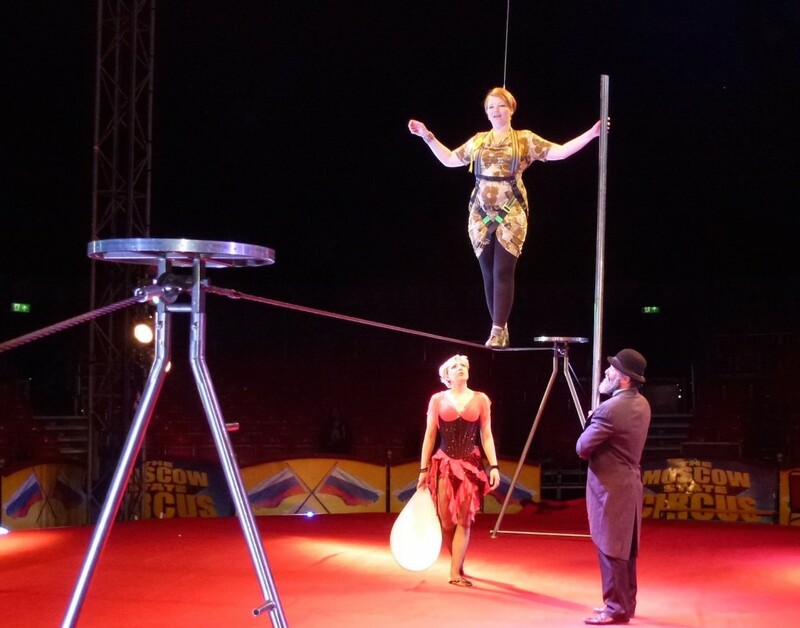 Guildford’s Lib Dem candidate for Westminster showed her skills at holding the balance of power this morning (April 22) with the help of the Moscow State Circus. 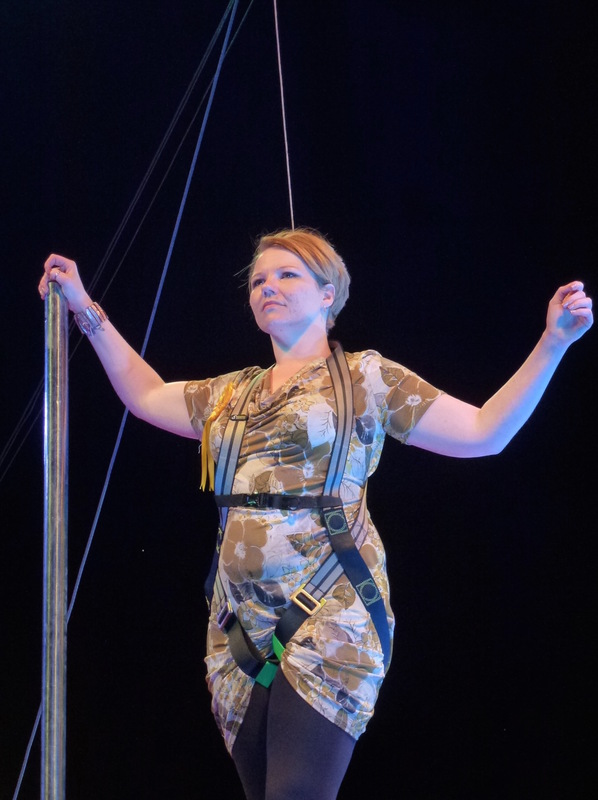 33-year-old Kelly-Marie Blundell’s only previous experience has been walking the political tightrope between left and right. She said: “I have never even done anything like this before, not even gymnastics. 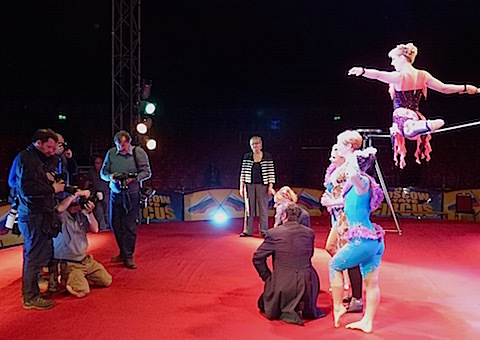 Unlike Boris at a 2012 Olympic publicity event, Kelly-Marie was not left helplessly dangling and finished to pose with members of the circus. 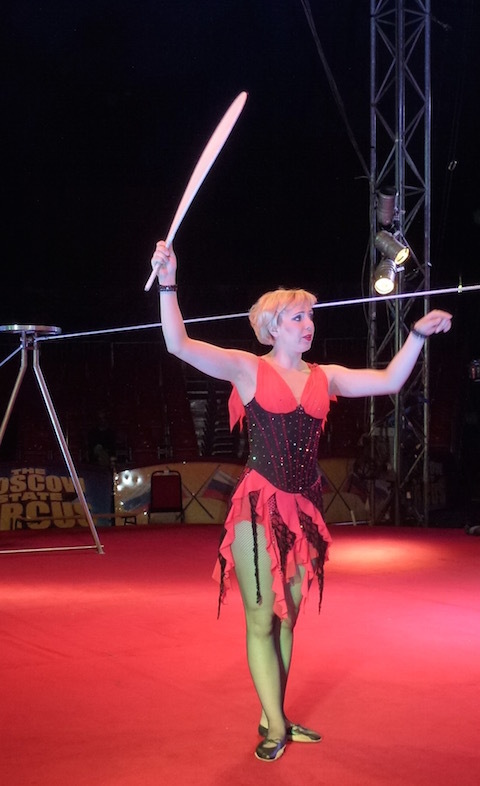 Whether she will run off to the circus if she loses out at the election remains to be seen. 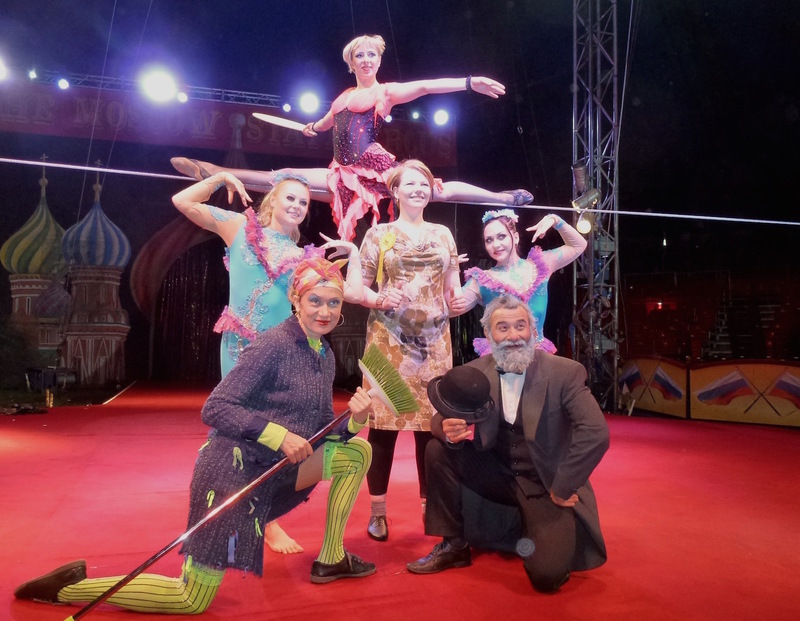 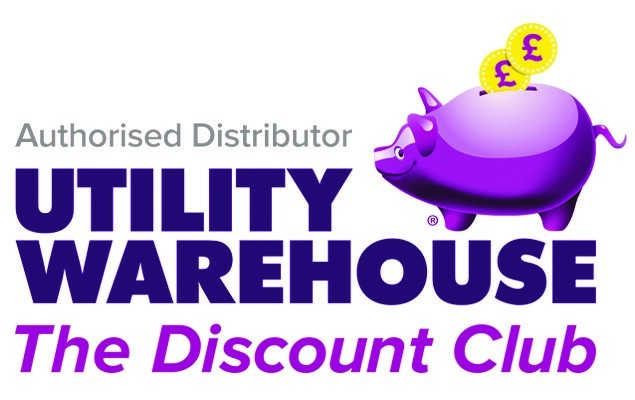 The Moscow State Circus is performing at Stoke Park from today 22nd April to Sunday 26th.